Swiss luxemburgerli. Photo courtesy of Sprüngli. 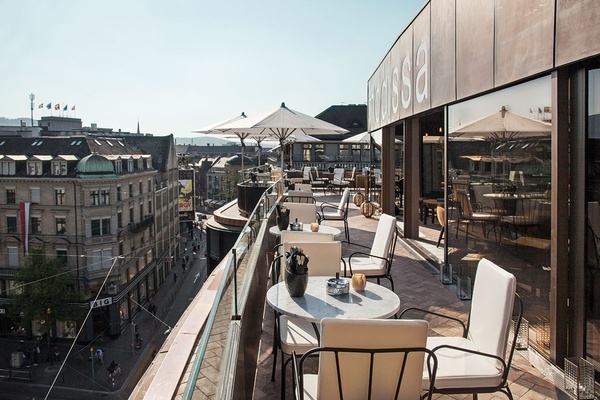 Switzerland's capital is known for big banks and price tags, but that doesn't mean the lifestyle is strictly nine to five. 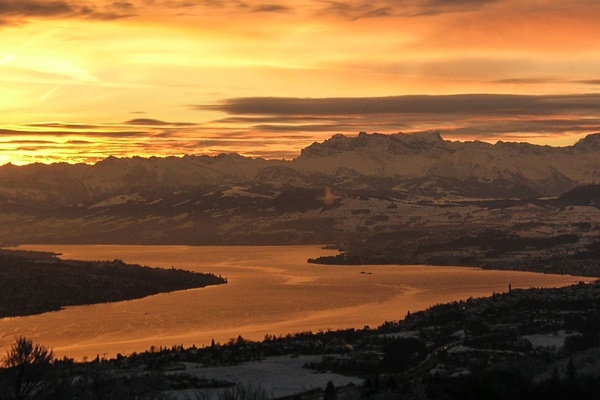 Travel writer Rana Good gives us the scoop on her hometown of Zurich. ZURICH – I lived in Zurich until I left for college in the United States roughly a decade ago. I return home twice yearly to visit family and friends and take in Switzerland's serene beauty. I can attest that all the rumors are true — the city is super clean, postcard-beautiful, and, yes, pricey. But more than that, Zurich is a fun place to visit, with great food, nightlife, fashion, and outdoor activities. First-timers just need to know where to find them. Here are my favorite spots. Sometimes, it's best to get your bearings by taking a look (and a sip) from the top. The chic and central rooftop bar sits on the top floor of a department store and makes great yuzu-based cocktails for toasting to your arrival. It goes without saying, but when in Switzerland, sample chocolate. 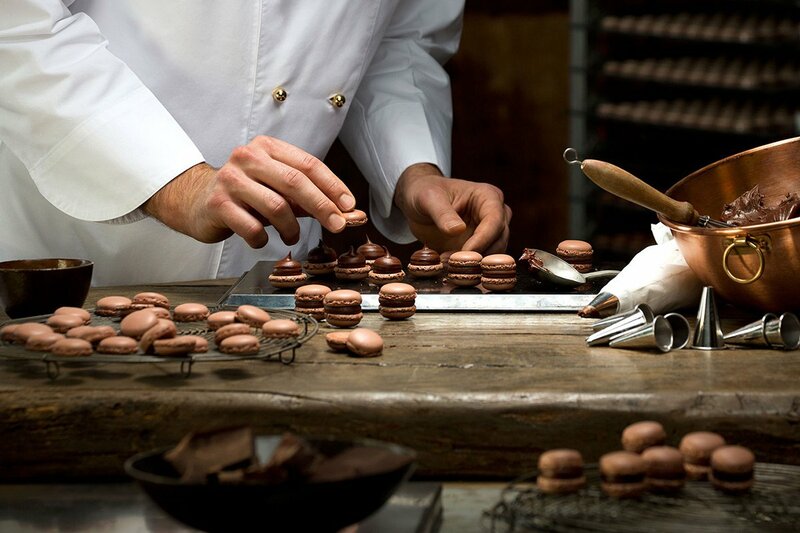 Sprüngli has been hawking an amazing selection of sweet treats since 1836, most notably truffles and non-chocolate items like luxemburgerli (they're like macarons). The view from the top. Photo courtesy of Péclard at Modissa. An old-school fondue experience. Photo courtesy of Le Dazaley. Just like chocolate, liquid cheese needs to be part of any first timer's itinerary. 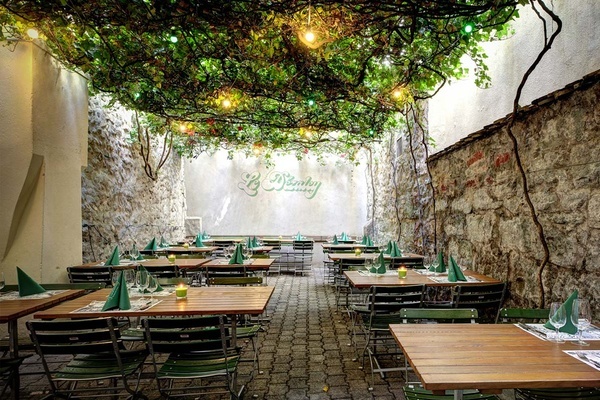 Le Dezaley has been serving delicious fondue in a cozy setting since 1924. Come hungry. The space is large but charming, the crowd is young and attractive, and the food is typically Swiss — wurst-käse salat (sausage and cheese salad), hacktätschli (a round hamburger patty served sans bun), and marroni-kuchen (chestnut cake). On the subject of hot drinks, Café Schober does amazing hot chocolate (get it topped with whipped cream), and is decorated in the style of a luxe, mid-century apartment. In other words, it's the perfect place to chat and chill. The bordello-chic bar and club is located on a street that's equal parts hipster and red light district, and has two floors for drinking, dancing, and listening to live performances. Be careful: Nights can turn easily into mornings here. 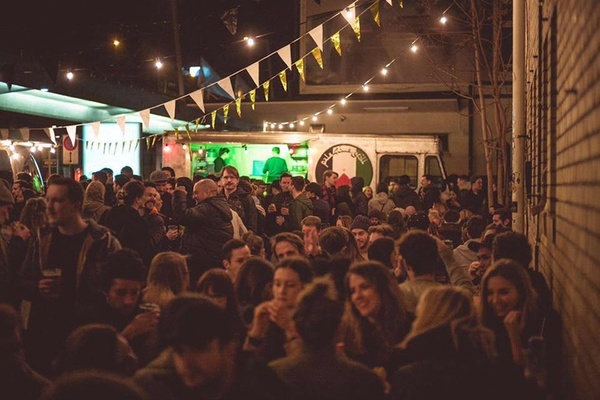 A food stall outside Longstreet that serves delicious Middle Eastern delicacies like falafel and sabich is the ideal place for a fourth meal, especially after showing off your sweet dance moves. The fourth-meal crowd outside Longstreet. Photo courtesy of Palestine Grill. The view from the mountain top. Photo courtesy of Uetliberg. Most people don't know, but Zurich has a great electronic music scene. This underground electro club has been going strong since 2005 and is the best place to catch local and international DJs and party after midnight. Locals don't have to go far to partake in alpine sledding. Zurich's own mountain, Uetliberg, is a short trip from the city center. Sled rentals are available at at the top of the hill. Skip the lines and try night sledding with only a flashlight to guide you. Note that the route is not for the faint of heart. If you're visiting with children, head to the Ringlikon sled path instead. Perfect for women looking to stock up on whimsical, Parisian-chic clothes, the store carries household names such as Isabel Marant, Maison Kitsuné, and Tibi, and newcomers like Xirena, Pomandere, and June 7.2. During the holiday season, the Niederdorf quarter of the Old Town hosts a traditional Christmas market with beautiful lights, many shopping stalls, and ample glühwein (mulled wine) for keeping warm. Commemorate the trip by getting inked at one of the best tattoo studios in the world. The parlor just opened their Zurich location this summer (they're based in London) and has top-notch resident and visiting tattoo artists. The lobby at Atlantis by Giardino. Photo courtesy of Atlantis by Giardino. Hide & Seek restaurant at Atlantis. Photo courtesy of Atlantis by Giardino. 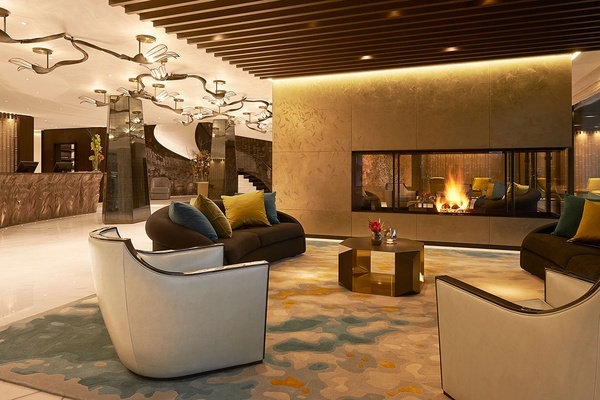 The ideal hotel for a winter vacation is located at the base of Üetliberg mountain just outside the center of Zurich — far enough from the bustle, but close enough to get amazing city views from your room. 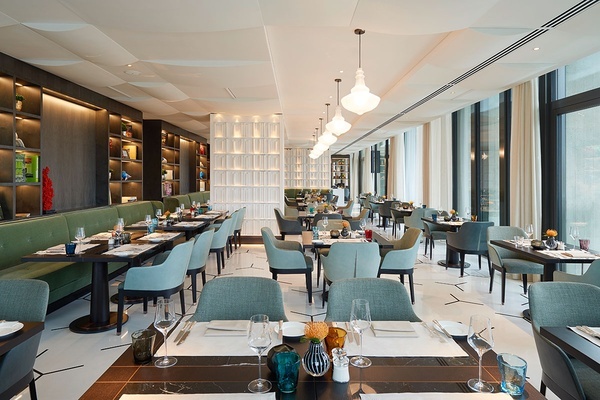 There are two dining options: Ecco, a fine dining establishment with two Michelin stars, and Hide & Seek, a restaurant and bar with a terrace overlooking the city. The gorgeous spa, which specializes in Ayurvedic treatments, is a breath of fresh air. A relaxing massage and a steam will have you walking out feeling at peace with both mind and body. Rana is a travel writer who never says no to new food and adventure. You can follow her on and at @ranagood. She travels for the stories.